Why is a spork called a spork rather than a foon? Why do we pluralise avocados without an ‘e’ yet add ‘es’ to tomatoes? 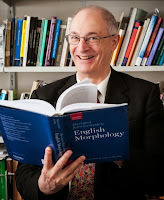 These and other complexities of the English language are the subject of a new book, The Oxford research guide to English morphology, by Victoria University of Wellington Professor of Linguistics Laurie Bauer and two other world-leading linguists—Rochelle Lieber from the University of New Hampshire and Ingo Plag from the University of Düsseldorf. Morphology is the branch of linguistics that studies patterns of word formation, and attempts to formulate rules around these patterns. “For instance, with a word like ‘friendliness’ you can chop it up into ‘friend’, ‘li’ and ‘ness’ and everything means something,” says Professor Bauer. The book offers the first comprehensive description and analysis on English morphology. As well as analysing dictionaries, the researchers drew on the Corpus of Contemporary American English and the British National Corpus, which contain vast samples of written and spoken English from a wide range of sources. 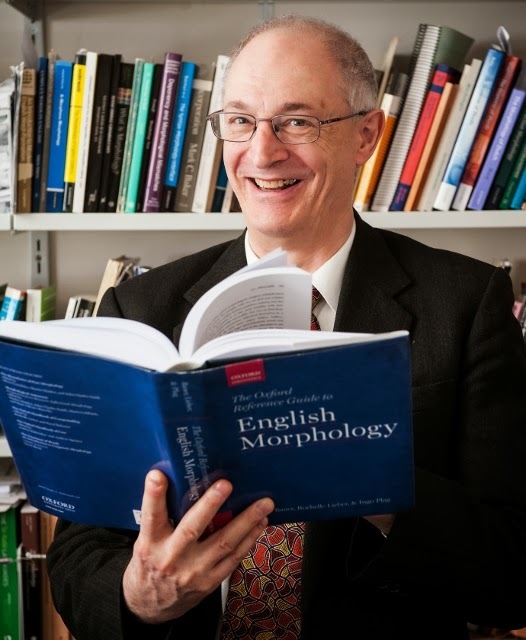 “There’s material there which doesn’t make its way into dictionaries and it’s an excellent resource for extracting patterns in language,” says Professor Bauer. The Marsden-funded book was written over three years in three different countries, with the researchers liaising over email and talking regularly via Skype, as well as meeting up once a year, each time in a different country. “All three of us have been working in English morphology most of our academic lives, so between us we are drawing on 100 plus years of experience—and with each of us working on the book for three years you could say that the book actually took nine years to write,” says Professor Bauer. For more information contact Professor Laurie Bauer on 04-463 5619 or laurie.bauer@vuw.ac.nz.